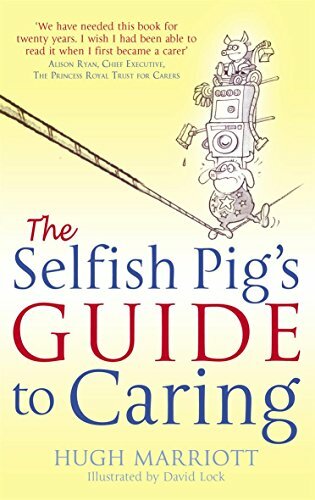 This is a great book for how to cope with the demands of caring and not lose sight if yourself. Even the old PRT endorsed it more than a decade ago. Probably sparse if one searches the usual charity shops on one's manor ... even if some still exist on the high street ... more one for the local library ... if not closed through the latest round of LA cuts ? Perhaps someone could be encouraged to write a sequel to reflect life / survival in CarerLand in 2018 ? I , Joe / Jo Carer ( And 7.8 Million Others )... certain ring about it ... the carers' equivalent of " I , Daniel Blake " ... ? One Day in The Life Of Joe / Jo Carer ... paraphrasing Alexander Solzhenitsyn ... experience of life in the CarerLand gulag ? Still ... best left to Joe / Jo ? An online source ... from 10 years ago ... the best ever analysis of " Carers " ever put forward to Parliament. In many ways , Government thinking still revolves around this Report. It's importance to us cannot be overstated ! Another " Bible " to be added to our collection. Parliamentary Briefing Paper on Carers Allowance ... 18 July 2018 ... in .pdf format. Clicking on the link will ask you to open ... Adobe Reader recommended. In essence , the most upto date and comprehensive document on CA there is ... without exception ! Brew some strong coffee and prepare yourself to read. A lot of questions arise from this Report ... and a lot of answers are provided. Now posted on several , current , interlocking threads. 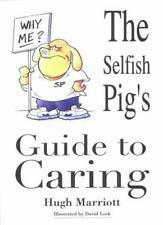 Not a carer, just a concerned friend, but I found The Selfish Pigs Guide to Caring a very good read. I'm also chronically ill/wheelchair user etc. I found it useful to try and understand how I can be an easier patient/family member/friend to deal with. Long term ill health does tend to make you become a bit ''me, me, me'' (Partly because you feel like you're slowly drowning, so there is a lot of panic, frustration and obviously self interest/preservation going on). I don't want to be like that though, not where possible anyway, so I found this book useful for that too. I don't know why some disabled people have said it's offensive. I didn't find it offensive at all. It's just a ''as it is'' type book. Carers voices need to be heard too. And I think we need to be frank. Sugar coating things is BS. The book is also written in an often humorous style which I enjoyed. (Apologies for more swear words recently. Have I been taking more testosterone to help with muscle wasting? Yes.....Yes I have It definitely makes me more prone to ''bad'' language). Previous book ... 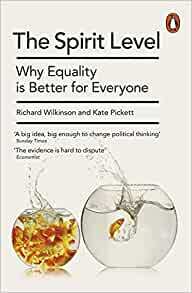 The Spirit Level ( 2009 ) ... 150,000 copies sold ... praised across the whole political spectrum. They are to poverty as Hugh Marriot is to caring. Another addition , another heavyweight ... CARE OF OLDER PEOPLE ... a major study undertaken for the Centre for Policy on Ageing , May 2014. 63 pages in .pdf format , written as a sociology study BUT very interesting when it comes to how we fit in. Probably the best study on the actual caring role I have read for a few years. I just came across some useful educational resources, and I believe these will come in handy for those who are involved in homeschooling and caring for children. I hope I've posted this in the right thread. 1. A list of verbs associated with Bloom's taxonomy. The page lists verbs for different cognitive tasks, which are arranged in increasing order of complexity. One can use these verbs to design or evaluate learning. For instance, you can help people/students realize what "Comprehension," "Analysis," "Application" involve. It sounds really simple, but I found it eye-opening. This list is presented like a cognitive ladder. Fun fact: the taxonomy to which these verbs are associated was created by Benjamin Bloom, the famous 20th century American ed psychologist. 2. A textbook solutions site called Bartleby, which includes explanations of concepts found in textbooks commonly prescribed in Europe and North America. Might help parents or tutors or caregivers involved in homeschooling. 3. The Resources page of Learning Disabilities of America features learning disability-related journals, guides, booklets, and more. Just posting this in the spirit of sharing. Again, I hope this info has been shared in the right thread. For those trying to rebuild a life after caring, especially when you are on your own, I'd recommend Starting Again by Sarah Litvinoff, published by Relate, formerly Marriage Guidance. Often on ebay. It's written for those newly divorced, but I found it far more helpful after my husband died that books about grief, because I needed to rebuild my life at 54, especially as we ran a business together so I didn't have any work colleagues to support me, just 30 tons of lorry spares to sell!! It's a very readable book, I kept it by my bedside and read a few pages at a time. I recommend "Overcoming Low Self-esteem" by Melanie Funnell.